This was brilliant and clever and I loved it. Such a clever representation of the French Revolution and utterly unique. 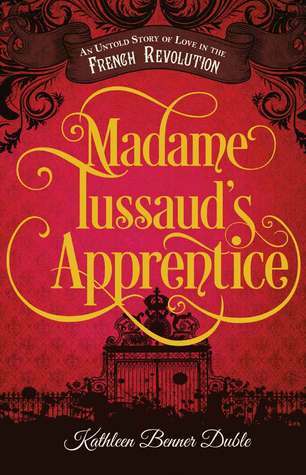 This is one of the most interesting stories I’ve read in historical fiction – Madame Tussaud? Yes please. This book was unbelievably enjoyable. The reason I first noticed it was because of its stunning cover, but then I read the title and decided that I absolutely had to have it. But then it got even better, when I found out this was set in 1789 NOTHING COULD PREVENT ME FROM READING IT. Ahem. The French Revolution occurred in 1789 for those of you less acquainted with history. The book definitely lived up to my expectations and I’m so glad that I read it. I wish this was talked about more because, my goodness, if you’re looking for an awesome representation of the revolution then look no further, ladles and jellyspoons. The book follows a girl called Célie (and what a lovely name that is) who is an orphan and living on the streets with a boy called Algernon (the names are on fire, I tell you). France is in turmoil – or at least, it very almost is. The revolution is about to happen: the poor are rising up to take down the frivolous monarchy and dash away their excessive wealth. In this time the wealthy are wealthy and the poor are dying. It’s tough times and the people of France want change to happen in the country to stop the extreme divide in wealth that is occurring. If you know anything about the revolution then you’ll know it was violent and bloody – so it’s time to pop the popcorn and enjoy the show. After a botched robbery attempt, Célie gets caught but fortune smiles on her as the lady we know as Madame Tussaud takes her in. Why is this? Well, Célie has an incredible talent when it comes to drawing and when asked to draw the other thieves everyone goes: MON DIEU ZE GURL CAN DRAW! Just like that, yes. For Madame Tussaud, or Manon, as she is called, this is excellent because Célie’s talent is rare and she needs someone to help her recreating the people and settings for her wax works museum. Célie now faces the struggle of being in a world of luxury as Manon works for the court as Versailles: never again with she go hungry or really want for anything. But at the same time she must continue to think of the poor of France and strive to further their cause! *breaks out into Can You Hear the People Sing* Sorry. Ahem. She’s stuck between a rock and a hard place because Manon keeps her under strict supervision to ensure she doesn’t do anything wrong but Algernon, also taken in by Manon, is egging Célie on to fuel the revolution by doing some epic spying that she’s not quite sure how she’ll pull off. And. It. Is. Awesome. These two were very interesting characters – Célie was definitely my favourite of the two. She’s a really tough girl having watching her father be beaten brutally death and then her mother and brother starve. She’s come so close to death so many times but by the grace of God was saved by Algernon from rotting in a gutter. I really appreciated the struggle that she goes through between never knowing which team to swing for. She loves Algernon dearly and wants to please him and help save the people of France, but at the same time she doesn’t want to displease Manon who is quickly becoming a mother figure to her. I felt as confused as she was because you can’t possibly see how everything is going to work out, especially when your head is quite literally on the line if you make a wrong move. I was decidedly less keen on Algernon. I still think that he’s a bit of a cruel character who really used and manipulated Célie. She’s so in love with him, however, that she either doesn’t see or doesn’t mind it. In the beginning I thought that he was okay but for a lot of the book he seems blinded to everything else except taking down the monarchy. He constantly puts blame back on Célie that I thought was uncalled for and I think he was too hotheaded for his own good. But this being said he is just a boy and he desperately wants to help the poor who are dying. Despite his questionable ways of achieving his goals I do still admire his courage for making change happen. I can only say that I’m glad I didn’t live in France during this time. The hardest thing as a reader when considering these two, is the fact that we get everything from Célie’s perspective (not that I think this is a fault in anyway, I’m glad it is a single perspective book). We see her transition from a beggar to a lady of the court (practically) and we also experience everything that she experiences. Through her work with Manon she meets the royals and she comes to the surprising conclusion (although not necessarily a surprise for the reader) that the royals’ lives aren’t as easy as they first appear. It’s a completely different sort of trial but she begins to see them as humans and not these elusive figures of wealthy purposefully condoning the poor and taunting them with all their food. And, of course, this makes it very difficult to put your heart into supporting their execution. These characters do the perfect job of performing this story and presenting to the reader the nature of revenge and questioning whether it’s worth it and showing us the consequences. As a quick mention, I really loved Jean-Louis’ character. He was adorable and the perfect friend to Célie when she needed one the most (plus he introduced the whole lock-picking subplot which was great). We get a really clear representation of atmosphere of the French Revolution through this book. If you do read this and you’re not familiar with the history just do be mindful that these events are compressed, sped up, and fictionalised in places to make a compelling novel. Duble writes an afterword in the novel to explain a few things and she also gives a timeline of Manon’s life. I loved this. I have studied this era from several different angles and I thought this was very cleverly done. The unique character that Duble has decided to centre this story around is PERFECT for giving us that straddled position between the opposing ends of the revolution. Madame Tussaud is a commoner but because of her work she frequents the aristocratic lifestyle. 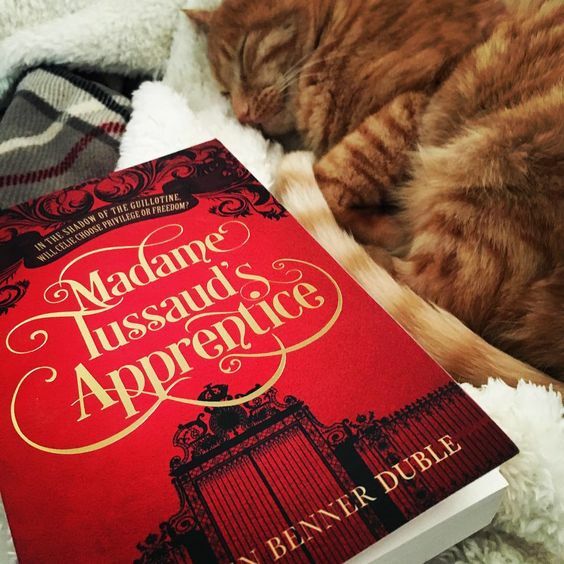 I love that Duble has picked Madame Tussaud – this is unlike anything I’ve every read before and I knew nothing about her until this book. I highly recommend reading Duble’s summary of her life if you get the chance to read this one. In the end, it really is the atmosphere of this book that wins it the cigar. You will definitely feel anxious for the characters in the hope that everyone is going to make it out okay. Heads are rolling left right and centre and the rift that forms between Célie and Algernon is tangible and painful. This is what historical fiction should be. Now, without spoiling anyone, I will say this: the ending of this book was what knocked that half a star off my rating. I loved everything else but there was just one element that I, personally, wasn’t quite sure about. I’m okay with it but something didn’t quite feel right. So, of course, we must discuss it in a spoiler. 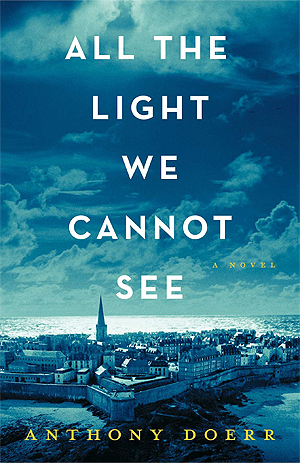 If you enjoy stories about French at war, All the Light We Cannot See is for you. 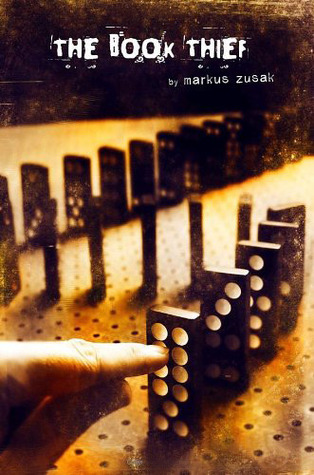 If you enjoy war stories from the people’s perspective, The Book Thief is for you. 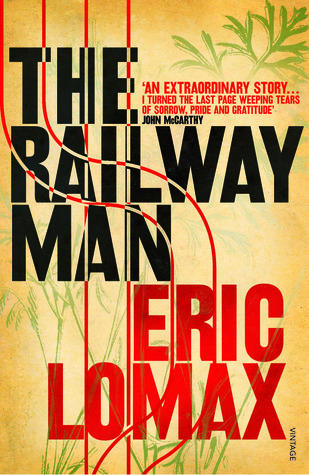 If you like more real war stories, The Railway Man is for you. What did you think? Let me know below! < Previous Laughing My Socks Off in Is It Just Me? Haha that’s what I’m here for right? My official title is: Amanda’s Book Finderer, clearly 😉 I hope you love it!! Oh boy those are good books! I hope you get a chance to read this one then because I think (hope!) you’ll really like it!